How the hell this could be already SOLD out!!??? And naturally this became one of those moments that usually happens to ONLY Liam Neeson. So I DID what I said. I was so happy and strike by ‘fashiongazm’ that I bought 2. One size 8 – wearing on the photos. size 18 Uk – which would do for 12/14 maybe – very small fitting – £249.99 = YOU can buy this one from me – ONLY for another week! Dress- H&M – available for purchase from me in JULY. Bag – Primark – available for purchase from me in JULY. 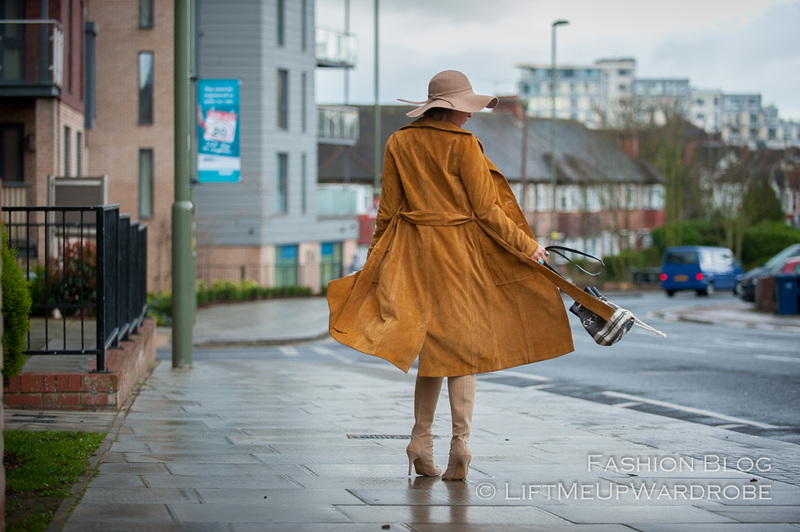 Posted in Street Style and tagged 70's, bohemian, boho, Designer inspired, h&m, h&m suede coat, hippie, hm trench suede coat, London fashion, silver turquoise, street style fashion, suede coat, trench suede coat, vintage silver jewellery. Bookmark the permalink.